From 1920 until the present, the working-class suburbs of Paris, known as the Red Belt, have constituted the heart of French Communism, providing the Party not only with its most solid electoral base but with much of its cultural identity as well. Focusing on the northeastern suburb of Bobigny, Tyler Stovall explores the nature of working-class life and politicization as he skillfully documents how this unique region and political culture came into being. The Rise of the Paris Red Belt reveals that the very process of urban development in metropolitan Paris and the suburbs provided the most important opportunities for the local establishment of Communist influence. The rapid increase in Paris' suburban population during the early twentieth century outstripped the development of the local urban infrastructure. Consequently, many of these suburbs, often represented to their new residents as charming country villages, soon degenerated into suburban slums. Stovall argues that Communists forged a powerful political block by mobilizing the disillusionment and by improving some of the worst aspects of suburban life. As a social history of twentieth-century France, The Rise of the Paris Red Belt calls into question traditional assumptions about the history of both French Communism and the French working-class. It suggests that those interested in working-class politics should consider the significance of residential and consumer issues as well as those relating to the workplace. It also suggests that urban history and urban development should not be considered autonomous phenomena, but rather expressions of class relations. 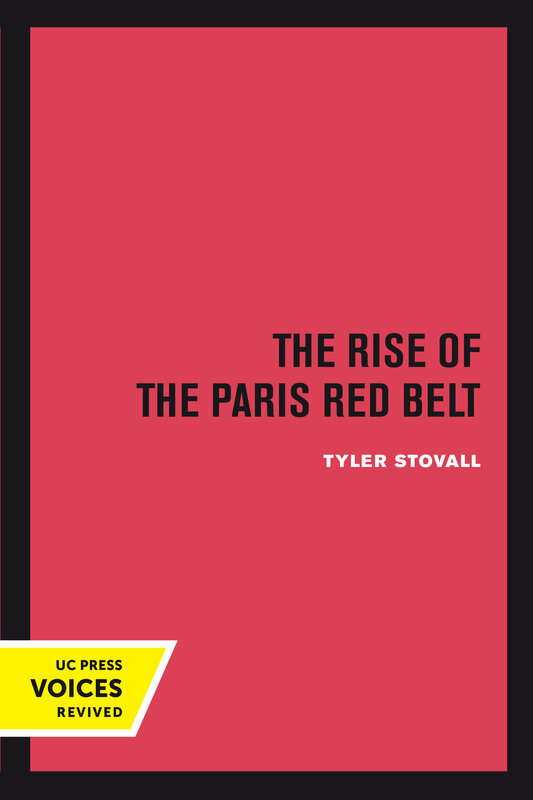 The Rise of the Paris Red Belt brings to life a world whose citizens, though often overlooked, are nonetheless the history of modern France. 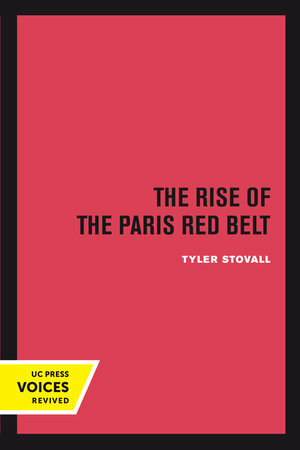 Tyler Stovall is Distinguished Professor of History and Dean of Humanities at the University of California, Santa Cruz.